Completed As Part Of The Termination Process. 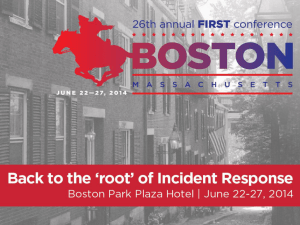 Command/Control Of The Incident For Postemergency Response Operations [NFPA 4727.6.1]. 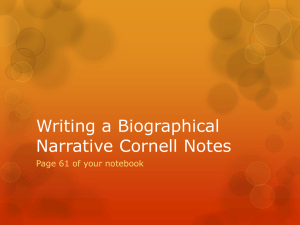 • Describe The Key Topics Of An Effective Debriefing. • Describe When A Debriefing Should Take Place. 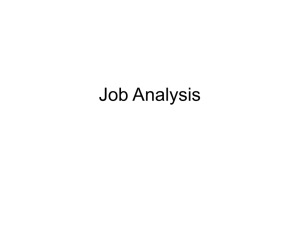 • Describe Who Should Be Involved In A Debriefing. Describe Who Should Be Involved In A Critique. As A Result Of A Critique. 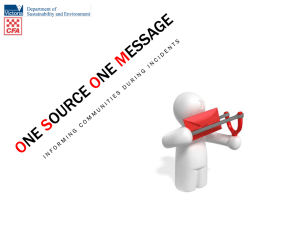 Exposure Records, Incident Reports, And Critique Reports. And Chain Of Custody/ Continuity. Important Part Of The Hazmat Response. • Is The Incident Scene Dangerous? • Is The Incident Scene Unsafe? • Is The Incident Scene Safe? Assuming Control Of The Scene. • Or In Some Way Affected By The Response. 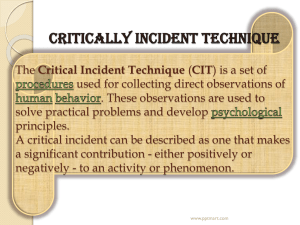 • The Debriefing Is Not A Critique Of The Incident. Minutes Are Probably Too Long. And Reported To The Right Regulatory Agencies. 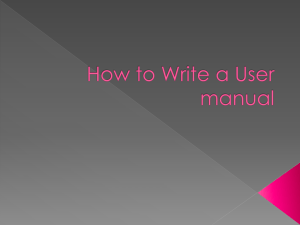 • Focus On The General Hazardous Materials Behavior Model. Probable Cause Of The Accident . The Less Likely It Will Be Accurate And Available. • Activity Logs, Entry Logs And Personnel Exposure Logs. 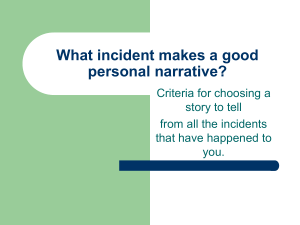 Also Be Obtained For The Incident File. • Time, Date, Location, Direction, And Weather Conditions. Instruments Used And Calibration Information. 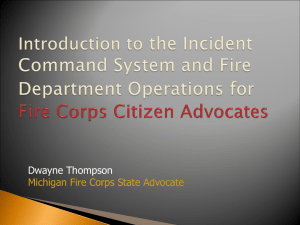 • Incident Command Charts, Notes, And Checklists. Used In The Broadcast Is Archived. 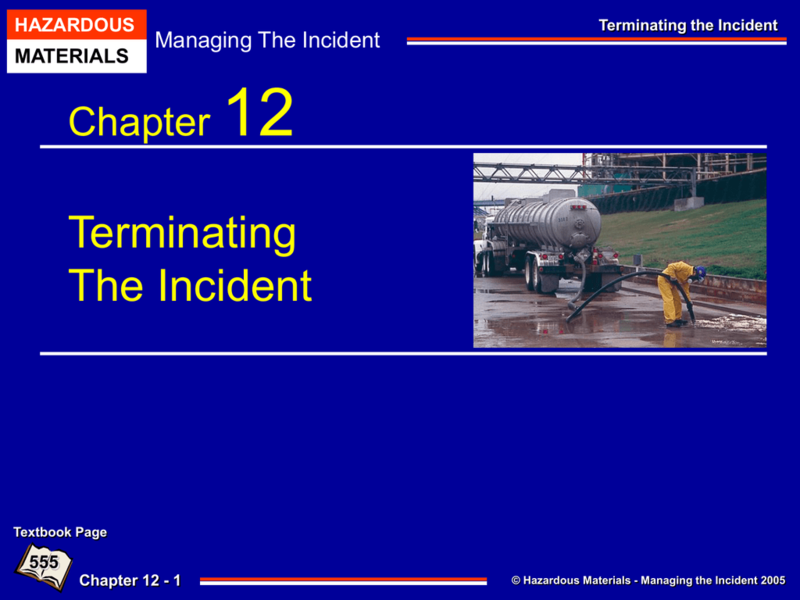 • Chemical Hazard Information From Checklists. 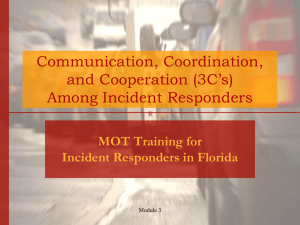 • Lists Of Apparatus, Personnel, And Equipment On Scene. And Where During The Incident. Properly And Actually Took Place. 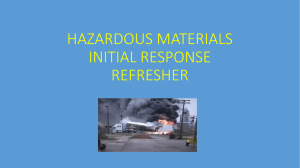 Every Hazardous Materials Emergency Response. Ensure That Direct Questions Receive Direct Answers. Feels Are The Major Issues. • Each Presentation Should Not Exceed Five Minutes. To The People Who Really Need To Know It. Place Is To Improve Your Operations. Problems In Emergency Response Work. Problems With Identification Of Hazards. Problems With Duty To Warn. • Problems With Negligent Operations. On Safety And Health Exposure Issues. After The Incident Is Over. That The Organization Meets A Standard Of Care.